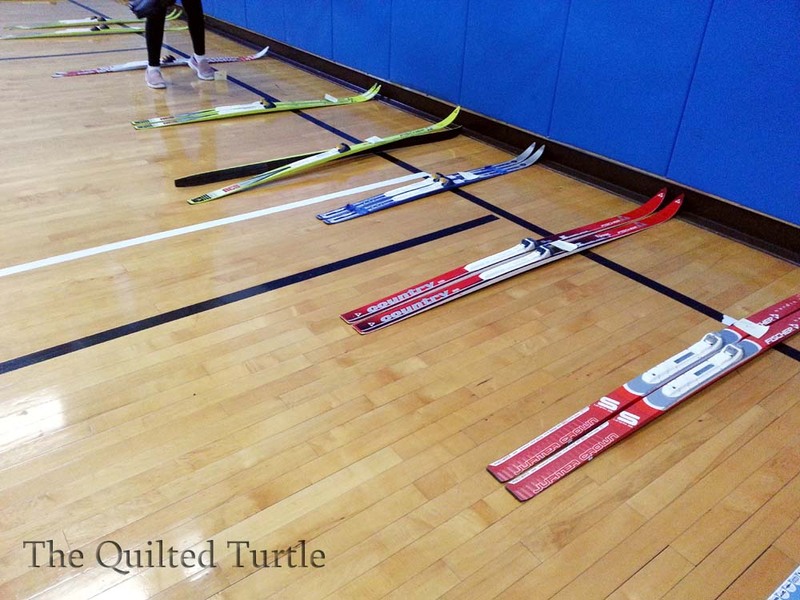 One day after school last week, the kids walked into the gym to find their skis. Each child in grades two through six was assigned a pair. As long as they come back to school for gym class the kids can take them home. I think it's awesome that the kids learn to ski in gym class. Heaven knows I could use a few lessons.